The study of our Universe often produces findings which contradict our normal understanding of its workings. And the planetary system of the red dwarf star Gliese 436 (GJ 436) - located around 33.4 light years away - certainly falls into this category. 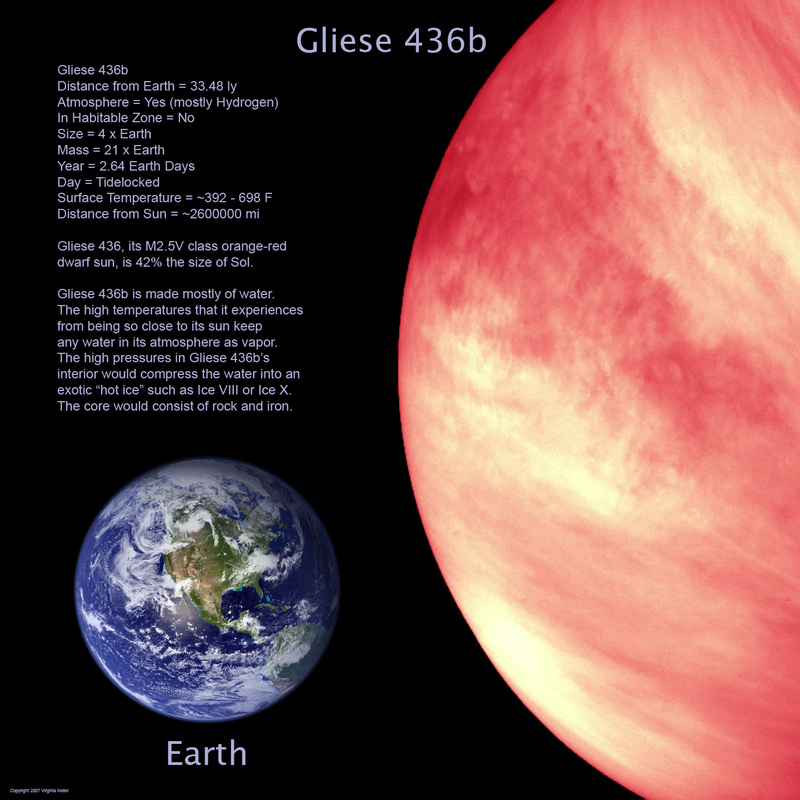 This red dwarf star Gliese 436 is one of the strangest known to mankind. Scientists became particularly interested in the star system because it hosts a strange, Neptune-sized planet with a number of peculiar features - including a massive, comet-like tail of vaporised gas and also has surface of burning ice. Now, an international team led by researchers from the University of Geneva (UNIGE) have discovered that this planet - known as Gliese 436b (GJ 436b) - also has a "very special" orbit. Common knowledge dictates that planets orbit on the same plane as the equator of their parent star. 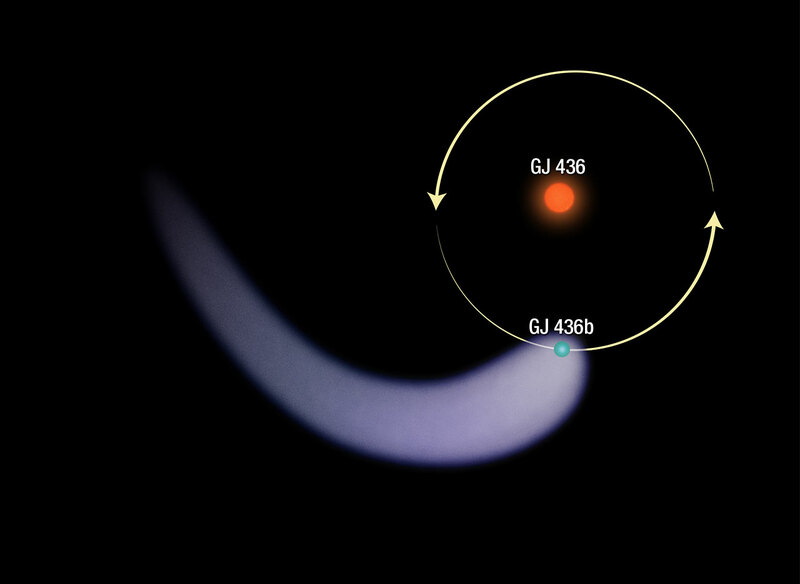 However, a study published in the journal Nature shows that GJ 436b's orbit is "polar", meaning it passes over the poles of its star, instead of circling around the equator. And unlike the planets in the solar system whose orbits form almost perfect circles, the orbit of GJ 436b – which takes around two and a half Earth days to complete - forms a very flat, or strongly eccentric ellipse. In other words, its distance to the star varies greatly along its orbit. The astronomers told IBTimes UK that this was "unusual" and totally "unexpected" given the closeness of the planet to its star. 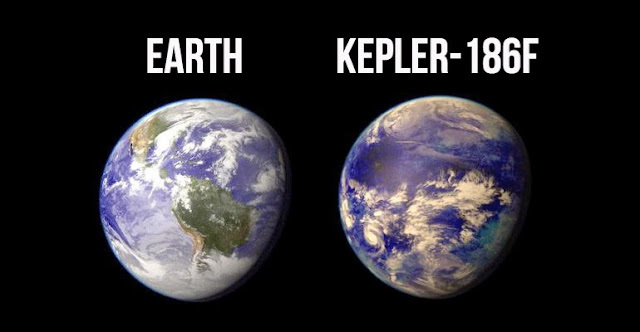 "This planet is under enormous tidal forces because it is incredibly close to its star, barely 3% of the Earth-Sun distance," said Vincent Bourrier, first author of the study from the Department of Astronomy at UNIGE. 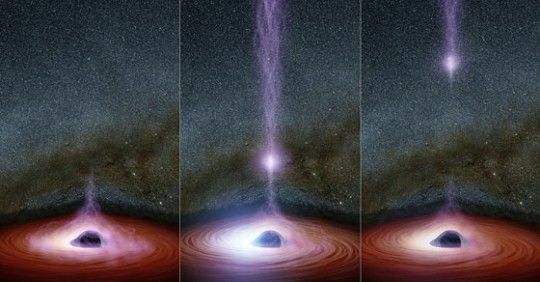 "The star is a red dwarf whose lifespan is very long; the tidal forces it induces should have since circularized the orbit of the planet, but this is not the case!" Astronomers are not sure what the explanation for GJ 436b's strange orbit is, however, they suggest that the existence of an unknown, more massive planet with a strong gravitational field could be disturbing it. The next goal for the researchers is to try and identify this hidden planet. The latest findings add to GJ 436b's growing list of unusual features. The planet's spectacular, comet-like tail is perhaps the most notable of these. Made up mostly of hydrogen that has been ejected from the planet's atmosphere, the tail is around 50 times the size of the star that GJ 436b orbits. But possibly even more intriguing is the fact that the planet may host large quantities of an exotic form of water ice, known as Ice X, which can remain solid despite temperatures on the surface exceeding 400°C. Scientists suggest that the planet's powerful gravitational field is strong enough to compress the water to such an extent, that it stays solid, even at extremely high temperatures.